11 “I am the good shepherd. The good shepherd lays down his life for the sheep. 12 The hired hand is not the shepherd and does not own the sheep. So when he sees the wolf coming, he abandons the sheep and runs away. Then the wolf attacks the flock and scatters it. 13The man runs away because he is a hired hand and cares nothing for the sheep. Friends, if there is one beautiful image that Jesus paints of himself, it is this one of him being a good shepherd we can trust. He says he is the leader and guide for life that tends us carefully and wisely through times of drought and times of abundance. 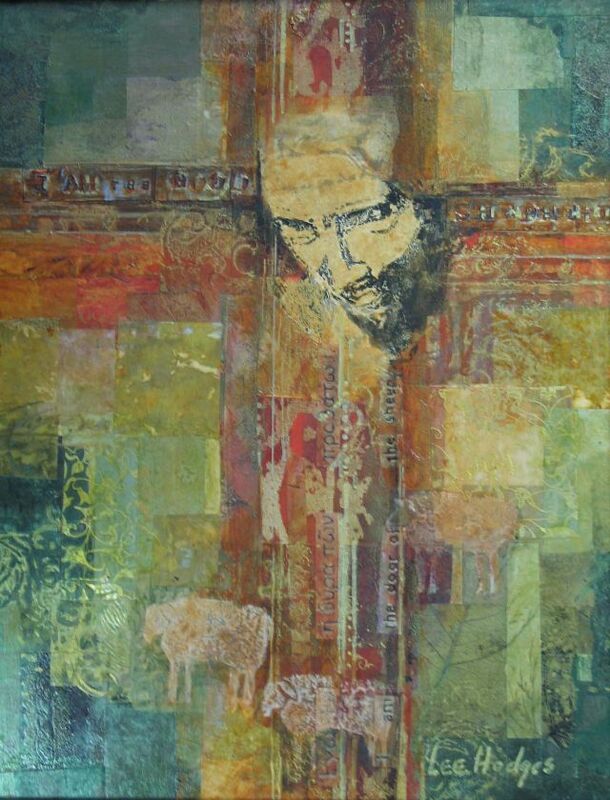 It is a wonderful picture that Jesus, our Good Shepherd paints of himself and his deep concern for us. It’s interesting that many biblical scholars have pointed to the tell-tale concerns that the Apostle John seems to have had when writing his gospel. As John, bears witness in words he speaks about the life, death and resurrection of Jesus, there seems to have been a major concern for John regarding the community in which he ministered as God’s shepherd, or ‘pastor’, in the Latin language. The problem was something to do with love – or a decided lack of love as far as John was concerned. The opposite of self-giving, servant kind of love of which John so often speaks in his letters – the kind of love he knew in Jesus of Nazareth the Messiah, seems to be running short through John’s community. As John sees it, the community was not the community of love it was called to be (15:1-17). People were not dedicated to one another with heart and soul, mind and strength. Instead, they were dedicated to self-preservation through self-improvement. They seemed to be thinking that this was the way God’s flock. When the going got tough they deserted one another like the “hired hand” Jesus speaks of in our text (10:12). What resulted was the demise of community: a people more interested in making comparisons than giving acceptance, a people more dedicated to competition and self-preservation through self-improvement than to mutual care (13:12-17). According to John, this approach to living is a reflection of the “voice” the people are listening to. As we know, there are many voices clamoring for our attention on a daily basis, and like us, John’s people seem to have succumbed to tuning out the voice of the Good Shepherd and tuning in the voice of another, the voice of expectations, keeping the right standards, being the right kind of people. When John talks about listening to a voice he means being captivated by the voice, taking it to heart and believing in it firmly. This begs the questions: What do we listen to? What are we captivated by and what or whose word do we really believe in when we hear it? John knows for sure that not all voices are the same and that many are down right destructive of faith and love. There are voices that are only like hired hands who have no real care for each person – but only want what they can get out of it, and only use you to meet their own self-driven ends. And here is the trouble with which we are confronted today. The end result of going the self-preservation way where we truly believe that the best of life is to be found in improving our selves and our property is that we become deaf to the only voice that really gives life and creates love – true self-giving, mutual respect and service kind of love, which binds us together in love. The end result of tuning into the old voices of self-improvement and looking after number one actually scatters the flock. That is John’s experience. Is it ours too? As a community of faith in Jesus the Good Shepherds are we more into self-preservation like hired hands who are not really committed to serving each other? This is the challenge from the Good Shepherd today. Where there is no voice of the Good Shepherd there is no gathering of the flock, no community, and only an aimless wandering and a façade at surface level. Jesus himself says that where there is no flock gathered, no voice heard, there is no feeding, no protection, no “abundant life,” no salvation (10:9-10, 26). The old motto “there is no salvation outside the Church” is what Jesus seems to be driving at, if by “Church” we do not mean a mere institution, but the “flock of God,” wherever and whenever we gather. Praise the Good Shepherd that there is a different way – a way back to love and true community of loving relationships. The Good Shepherd came among his scattered sheep, once and for all, to gather them. What makes him “good” is that he is not intimidated by the other voices. He is not phased by the charge of even “blasphemy” and threats of “stoning” (10:31-33) that came his way — but is willing (10:18) to lay down his life for his sheep (10:11, 15, 17, 18). The cross, which his opponents thought would silence his voice, was actually his PA System! We now know him unmistakably, loud and clear as our shepherd, and we know his love first-hand. What’s more, in his resurrection we know him as the One who is “loved by the Father” (10:17) and that his act of “laying down his life for the sheep” was not merely his idea but the will of the Father. With the Father’s backing he has real authority — real power! He has the authority and the power to lay down and take up his life (10:18) and to give it in great abundance to his sheep (10:10). We are captivated by his voice. We follow his voice. His voice is unique and clear on the cross and his power to heal, restore, protect, lead is unquestionable in his resurrection. To know his voice is to follow his voice (10:27. We know so we follow. We are loved, so we love. We are shepherded, so we shepherd each other. In a world in which everyone wants to be the leader or “top dog”, Christians have a different instinct ingrained in them: Jesus calls it faith. The sheep know their shepherd to be a master servant (13:12-20) and, knowing that, they value and do servant hood, as they faithfully follow Him. Following is not an act of blind, dumb obedience. Good followers are knowledgeable. They know exactly what and who they are following. That’s what makes them so good at following. This does not mean that there are not “leaders” in the Church. There are. But such leaders are sub-shepherds, master followers, appointed by THE Shepherd to serve on his behalf– like Peter, the Rock who is charged with feeding the flock on the Word of Jesus (21:15-19). Gathered as a Community of Care One for Another. And here is the heart of it all for us today. This faith in the voice of the Shepherd we know, and the values of following and servant hood that he instills naturally lead to community. So, following Jesus is not a private affair, but an affair of the flock. Our gathering as the flock of the Shepherd is all part of the abundant life he gives. In the midst of the flock we receive his feeding, his protection, his care and his life. In the flock there is no competition, but only mutual care and “friendship” (15:13). In the flock, the command and desire of Christ (that we “love one another as he has loved us”) becomes a reality here and now. We are community and we are church and we are here. Jesus says he has many more sheep to add to his fold and that is our mandate. We are charged with the call to be committed to and concerned for those outside the flock – with love – Jesus’ love – the love of the Shepherd. Above all the other things we learn, may we learn to love in Jesus’ “Good Shepherd” kind of way – self-giving, caring, and strong. May we find way to love each other for it is by our love that those still yet to be drafted into the flock will know the love of Jesus for them. The HUGS bible study group were studying Rom. 6;1-11 last Mon night 30/4/12 & raised plenty of discussions on baptism over infant or believer’s baptism. Your message on Sun 6/5/12 re Philip & the Unich together with an infant baptism could not have been better explained or timed to answer the questions raised. It was so good to hear last night from the one who struggled with this issue the most, say how Sun.’s service explained it all so very well. This has been a long standing issue with her. Well done! and thank you so very much Pastor Adrian. God is good, good all the time!! Thanks very much for the info and the encouragement, Helen. great to know that God does his miracles of helping people on their faith/life journey through average human beings! Peace be to you and the group too.